Hoisin sauce is mainly used as a table condiment and for flavoring meat, poultry and seafood dishes. 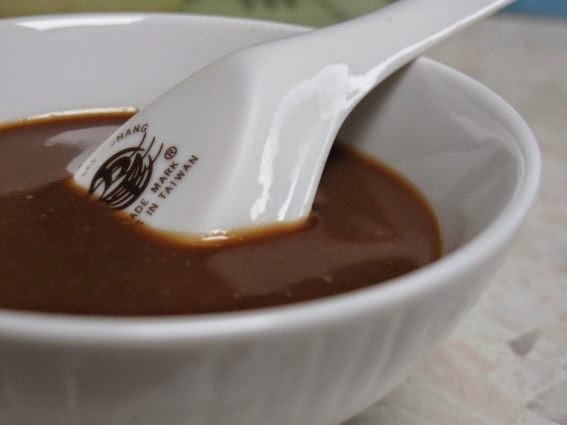 A thick, reddish-brown sweet and spicy sauce, widely used in Chinese cooking. Store bought chinese hoisin sauce is a mixture of soya beans, vinegar, sugar, garlic, chilli peppers and various spices and lot of preservatives. Homemade Hoisin sauce tastes better than shop bought stuff, you just have to taste before serving as it's quite easy to adjust the recipe to suit your palette. Because of the acidity and salt content, this should keep in your fridge for quite a long time, a few months at least! Just whisk all the ingredients together to get a smooth sauce. At first, it does not appear like it will mix but, keep at it just a bit longer and you have.